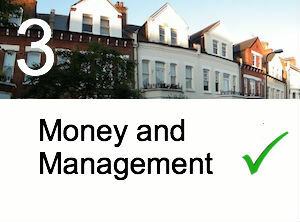 1stAssociated.co.uk market in a variety of ways for Independent Chartered Surveyors. Aim of our survey reports is to produce a structural survey from research with clients, set within a format that is based upon what the client requires (as far as we are aware no-one else has carried out such research). Executive Summary with Action Required and Costings. Our own specialist trademarked sketches. 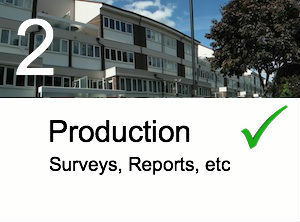 We have many other survey unique selling points which we have researched and fine tuned to produce what we believe is the best survey report our clients can get today. Our survey emphasis is always the way the reports are structured and their appearance which is based upon customer research that we have carried out over many years. Our focus is our Executive Summaries which are completely unique and generated by the Surveyor producing a voice file which details the property details, issues and good points too. The Executive Summary is divided into Good, Bad and Ugly clearly detailing the property problems, action required to repair or resolve any issues as well as anticipated costs for repairs or building works. 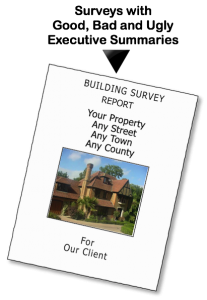 We have developed survey templates for all Eras, types and styles of properties and provide the appropriate survey template for Surveyors to use to produce the structural survey. Each Era of property has its own characteristics and style features with areas which may have issues such as Georgian and Victorian sliding sash windows which may require repair or easing and adjusting or 1960s flat roofs that require replacement. We have developed many different Era and type survey templates from Tudor to New builds and from detached to flats which we will provide the right template for the property the Surveyor is producing the structural survey on. Your first survey is often the most difficult one, but this is a tried and tested format and we are just a phone call away if you need help. Just provide us with your survey voice file and photos and we will type the survey for you. From our experience it just does not work if you try to type the reports yourself our secretaries are at hand to type the survey, insert photos and sketches then will forward the draft to you for your amendments. Our Customer Relationship Management (CRM) system provides an area on our website for you to upload your voice file of the Executive Summary and your survey photos. These photos need to be compressed. We recommend a Jpeg compressor, if you haven’t got one we have one available. The first draft of the whole report will then be returned to you by the PA. You then need to review all of this and make amendments, again by voice file, which you forward back to the PA that is putting the report together for you, via the CRM system. 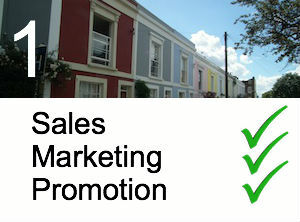 CRM stands for Customer Relationship Management and we use this system as it allows us to have access to archived data. We have been using this system for over a decade and it works. Our CRM has a vast capacity and can store data for decades which ensures that we can access survey information in years to come should this be required.